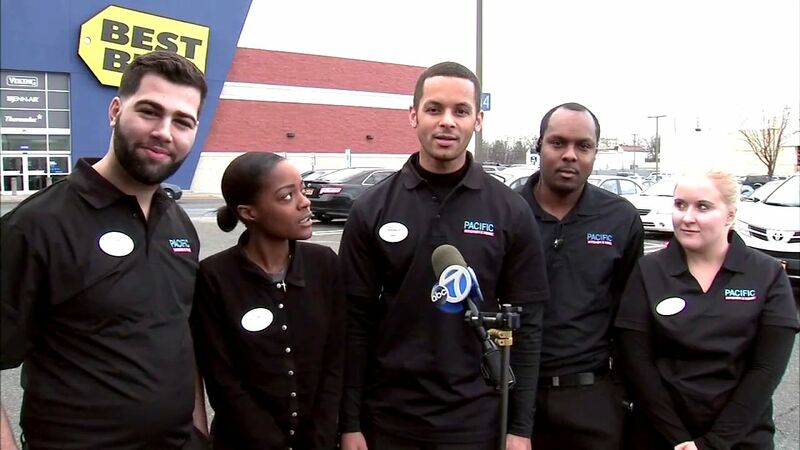 VALLEY STREAM, Long Island -- The employees at a Long Island Best Buy store who showed off their holiday spirit by chipping in to buy a video game system for a boy who frequently visited their store are talking about their good deed. According to employees, the boy comes in everyday and plays the WiiU up to "three hours sometimes." In the video below, which has gone viral since it was posted two weeks ago by store manager Rahiem Storr, an employee is seen approaching the boy and presenting the $300 gift. "On behalf of all of us here at Best Buy, we got you a WiiU," the employees told the child, "so you don;t have to come here everyday and play." Employees said the boy was speechless and could be seen shedding a tear. The employees also bought him the Super Smash Bros. game and one of them even drove him home to make sure he made it home safely with the console. The employees don't know much about the boy, but say he still comes back to the store and they are always happy to see him.